In Canada, The Salvation Army’s emergency disaster services (EDS) program began back in December 1917 in response to the Halifax, N.S. disaster. The Salvation Army dispatched personnel from across the country to assist with relief efforts that lasted for months. 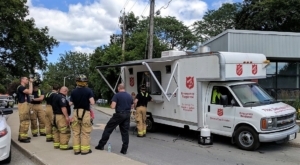 In addition to caring for the practical needs of those impacted, such as food and clothing, Salvation Army officers provided emotional and spiritual support to responders. “We do not know how we would have gotten along without them,” wrote R.T. MacIlreith, chairman of the relief committee. About 2,000 people perished in the disaster and 900 people were injured. Today, the Army’s EDS has grown into an international network involving thousands of trained personnel worldwide, many of whom are volunteers. EDS personnel respond to incidents of various sizes and scopes. In keeping with its holistic ministry, the Army provides support that meets the immediate, as well as long term, physical, emotional and spiritual needs of disaster survivors and responders. The Army’s established and well-rehearsed emergency protocol allows the organization to deliver fast, efficient service to first responders as well as those impacted. The Salvation Army endeavours to ease human suffering wherever it is found. It draws on a wide range of resources that rapidly shift into action when a disaster strikes. 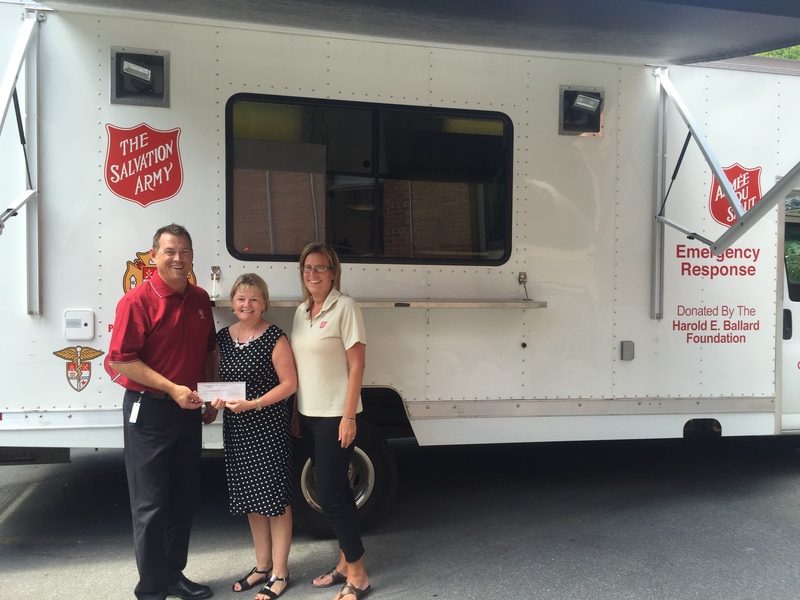 The Salvation Army’s capability and experience are proven. Whether a local incident or a major disaster, EDS personnel are often among the first to arrive on the scene and the last to depart. The frequency and impact of natural disasters is on the rise around the world. Earthquakes, hurricanes, tsunamis, forest fires, tornadoes, ice storms and severe rain storms are happening more often than ever before. The Red Shield continues to be a symbol of hope and compassion, of immediate aid, psychological support and spiritual counsel to individuals and families whose lives have been disrupted or shattered by forces beyond their control. In May 2016, raging wildfires caused catastrophic damage and triggered the evacuation of Fort McMurray, Alta. The Salvation Army was immediately on the scene, providing food, hydration and emotional support to those fighting the fire. In addition, EDS personnel continued to support those evacuated throughout the province and beyond, and was a crucial part of the re-entry phase for months following. While people tried to resume to some sense of “normal,” the Army provided food, clothing, gift cards, furniture vouchers, as well as emotional and spiritual support and critical-incident stress management. If you are interested in volunteering with the Emergency Disaster Services team, please click here. Read about our work on Twitter! We wish to express our gratitude to Frontline Financial for their generous support to our EDS program!